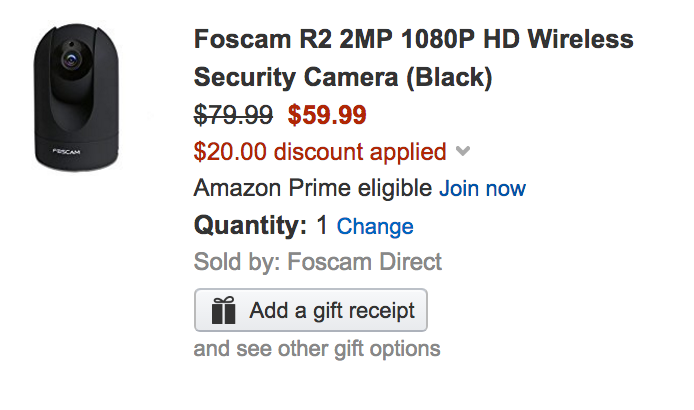 Foscam Direct via Amazon offers its R2 1080p HD Wireless Security Camera for $59.99 shipped after promo code R248HOUR is applied during checkout. That’s a $50 savings off the original price, down $15 from the previous all-time low and the best that we’ve seen. Rated 4.1/5 stars by nearly 1,000 Amazon customers. We’ve made security both simpler and more versatile than ever before: stay connected to what you love and never miss a moment no matter where you are. 2-Way Talk allows you to participate in the moment, not merely watch it. Your video feed is securely streamed in stunning 1080P detail, making it feel like you’re in the same room, while remote pan/tilt even allows you to turn your view with an exceptional 300°/100° range of freedom. Our recording choices let you preserve footage how you want, when you want. Local storage is free (no monthly fees)!